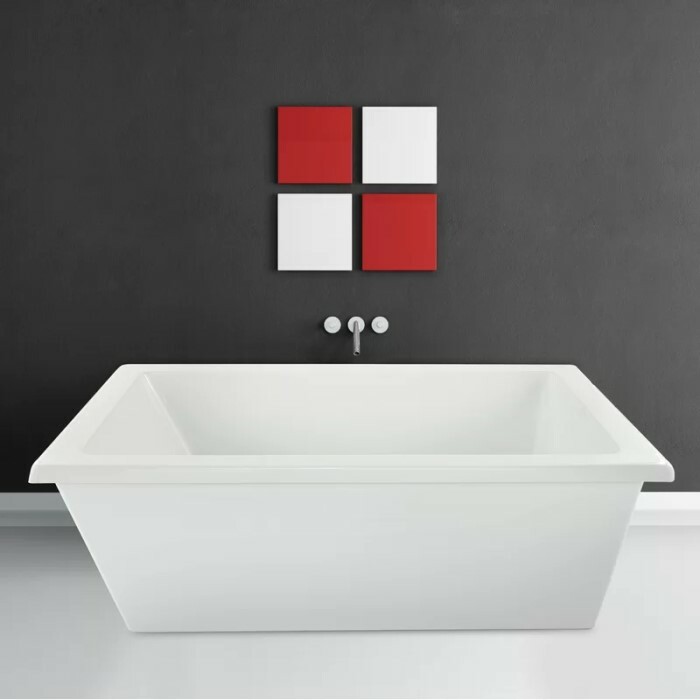 Lexie is a freestanding rectangle bath with modern styling. Hidden end drain, and flat rim adds to the contemporary feel. Designed with an elongated bathing well for comfort. Choose a soaking tub or move the water with the Thermal Air system. Add the option of Hydro Blanket - a tub shell heating system. Lauren features 1/8" thick layer of deep lustrous acrylic and extra thick reinforced fiberglass. End drain bathtub with one backrest. Tub Size: 66" x 36" x 20"